These papers were donated to the University of Pennsylvania Archives and Records Center by Mary Ann Tallman Scheie widow of Dr. Harold Glendon Scheie, July 10, 1990. The papers of Dr. Harold Glendon Scheie, ophthalmologist and Founding Director of the Scheie Eye Institute, are arranged in six series. They include: Personal papers, 1927-1990 (6 cubic ft.); Professional papers, 1934-1990 (26 cubic ft.); Photographs, 1943-1989 (1 cubic ft.); Clippings/Scrapbooks, 1928-1989 (5 cubic ft.); Ephemera, 1931-1986 (1 cubic ft.); and Books, 1798-1977 (2 cubic ft.). The Personal papers are further subdivided into eight sub-series. They are: General Biographical Information, 1935-1988; Personal Correspondence, 1927-1990; Correspondence of Mrs. Scheie, 1951-1962, n.d.; Third Party Personal Correspondence, 1949-1962; Mountbatten of Burma Papers, 1942-1990, n.d.; Military Papers, 1940-1964; Military Organizations, 1966-1988; and Community Activity, 1957-1990. These sub-series are arranged chronologically with the exception of the Military Organizations and the Community Activity which are arranged alphabetically. The Professional papers series is further subdivided into seven sub-series. They are: Office papers, 1934-1990; Scheie Eye Institute papers, 1968-1990; Meetings, Conferences, and Courses, 1948-1989, n.d.; Scheie Research/Writing, 1949-1984, n.d.; Third Party Research/Writing, 1940-1990, n.d.; Lectures/Speeches, 1947-1988, n.d.; and Awards/Honors, 1951-1989. Arrangement within each sub-series is generally chronological. Dr. Scheie’s correspondence is arranged chronologically by year and alphabetical thereunder. The arrangement of the remaining series is generally by topic; individual arrangement will be reflected in the scope and content note and the inventory. Harold Scheie was born in Brookings County, South Dakota in 1909, the son of Lars T. Scheie and Ella Mae Ware Scheie. He was educated in the Warren, Minn., public school system, and in 1926 he graduated from Warren High School. He attended the University of Minnesota and received a B.S., 1931, and M.D., 1936. He completed his Internship, 1935-1937, and Residency, 1938-1940, at the Hospital of the University of Pennsylvania. In 1940, he received a D.Sc., from the University of Pennsylvania. Dr. Scheie secured a position as Instructor and then Associate Professor of Ophthalmology in the Medical School of the University of Pennsylvania, 1940-1942. During World War II, he served, with the other staff members of the Medical School, at the 31st Hospital Unit of the Army Medical Corps, located on the Ledo Road in the China, Burma, India Theatre. Scheie treated many patients while serving in the Army; his most memorable patient, however, was Lord Louis Mountbatten of Burma. Mountbatten had injured his eye in a jeep accident. Scheie success in saving Mountbatten’s eye resulted in a friendship that would last throughout their lives. 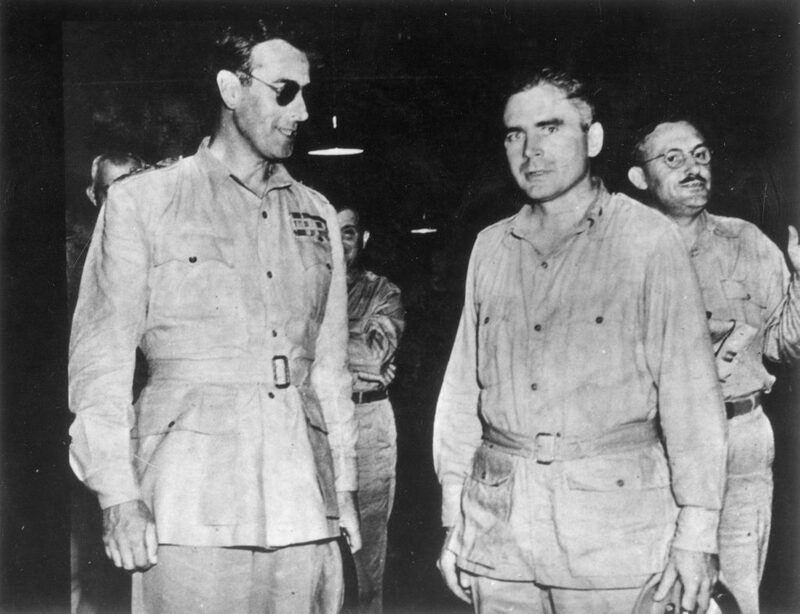 Like his relationship with Mountbatten, Dr. Scheie’s service in the Army would also continue well beyond the period of World War II. He belonged to many military organizations and continued to serve in the reserves until 1964 when he retired with the rank of Brigadier General. After the war, he returned to the Department of Ophthalmology in the Medical School, University of Pennsylvania. He remained connected the University for the remainder of his professional life. He held the following positions: Assistant Professor, 1945-1949, Associate Professor, 1949-1953; Professor, 1953-1979; Department Chairman and the William F. Norris and George E. deSchweinitz Professor of Ophthalmology, 1960-1977, and Emeritus Professor, 1979-1983. In 1964, Dr. Scheie encouraged the University to merge with the Wills Eye Hospital. The University decided against his recommendation. As a result, Scheie began raising funds for an independently financed eye institute which would eventually become affiliated with Presbyterian Hospital. His fundraising efforts met with enormous success, and in 1972, the Scheie Eye Institute was dedicated. At this time the Department of Ophthalmology moved to the Scheie Eye Institute as a result of the University’s affiliation with Presbyterian Hospital. From 1972 until 1977, Dr. Scheie served as the Founding Director of the Scheie Eye Institute. He retired from practice in 1983 devoting his time to fundraising for the Institute. Remaining at the cutting edge of his profession, Scheie worked tirelessly at his research. Some of the topics covered by his research include: Adie’s syndrome, retinal detachment, glaucoma surgery, infantile glaucoma, ocular injuries, Hurler’s disease, herpes, cataracts and cataract extraction, hemophilia and the eyes, Rubella Syndrome, thyroid, Scheie Syndrome, and myopia. Throughout his career, Dr. Scheie wrote over 200 articles, the standard textbook on ophthalmology, and delivered countless lectures and speeches. 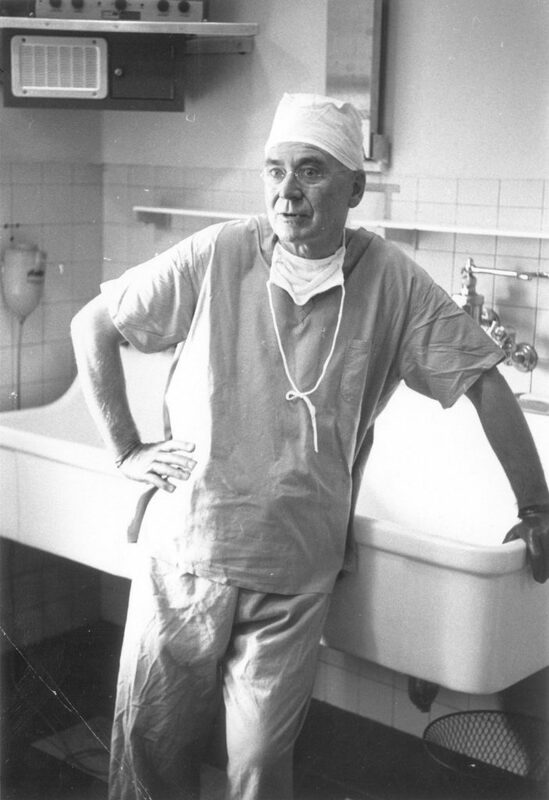 He saw thousands of patients in his private practice limited to diseases of the eye, 1947-1987, and developed a technique for cataract removal which became widely used, and ultimately named for Scheie. From 1948 until 1989, he traveled extensively attending over 150 professional conferences, from Oklahoma City to China to Nairobi. He was actively involved in: the Academia Ophthalmologica Internationalis, the Academy of Ophthalmology and Otolaryngology, the Afro-Asian Congress of Ophthalmology, the American Academy of Ophthalmology and Otolaryngology, the American College of Surgeons, the American Medical Association, the American Ophthalmological Society, the American Society for Contemporary Ophthalmology, the College of Physicians, the International Academy of Ophthalmology, the Medical Association of South Africa, and the Pan-American Congress of Ophthalmology. 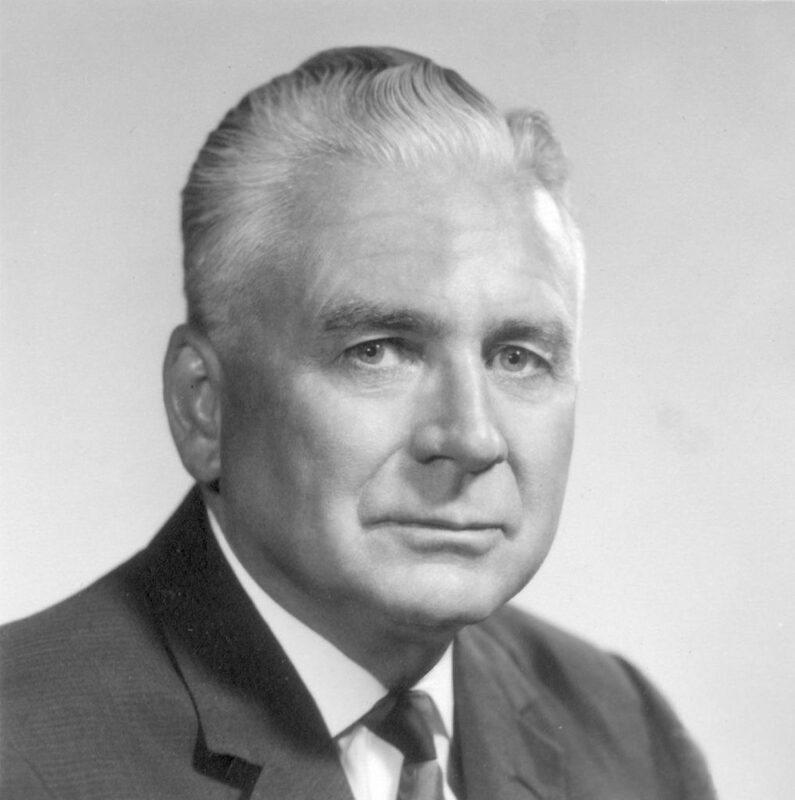 In addition he served as an advisor to: the Governor’s Committee on Diabetes, 1969-1975, Pennsylvania Working Home for the Blind, 1958-1959, Pennsylvania Association of the Blind, and a number of other societies for the blind or the prevention of blindness. Scheie’s dedication did not go unnoticed. He was the recipient of many awards and honors. Some of which include: the American Medical Association’s Gold Medal, 1962, the Irving S. Cutter Medal, 1968, the Pennsylvania Award for Excellence, 1970, Freedom’s Foundation Award, 1972, Horatio Alger Award, 1974, Pennsylvania Academy of Ophthalmology Distinguished Achievement Award, 1974, the Strittmatter Award, 1976, the International Glaucoma Congress Gold Medal, 1977, the Saunders Award, 1978, the National Exhibit for Blind Artists Distinguished Achievement Award, 1983, the Howe Award, 1984, the Pop Warner Award, 1985, and the Shaffrey Award, 1989. He was also honored with honorary degrees from Villanova University, 1969, the University of Pennsylvania, 1978, and the University of Minnesota, 1989 and a Philadelphia City Council Resolution, 1982. Dr. Scheie’s personal community interests were wide ranging. He was active in many clubs and organizations. He was a long time member of the Union League, the Merion Cricket Club, the Philadelphia Country Club, and the Republican Party. He participated regularly in the “Boggie Buster” celebrity golf tournament for multiple sclerosis, Variety Club and United World Colleges affairs, and attended charitable functions for many other causes. He was a faithful follower of the Philadelphia Phillies. The Harold Glendon Scheie Papers, 1798-1898, 1927-1990, n.d. mainly document the professional contributions and achievements of Dr. Scheie in the field of Ophthalmology. There is a small group of personal papers, but these papers, in large part, still reflect in some way upon his devotion to his profession. The personal papers contains correspondence, 1927-1990, with friends and family. Scheie corresponded with his parents, Lars T. and Ella Mae Scheie, throughout his life. He regularly gave reports about his daily activities, patients, career and general well being. His early correspondence, particularly the letters leading up to and during World War II, gives information on his early career and life in the Army and, for the most part, are solely to his parents. His correspondence after the war is mixed with letters to and from friends Scheie knew from both the military and professional associations. This correspondence gives some general information or commentary on professional activities, but it more genuinely reflects his community interests and involvements. 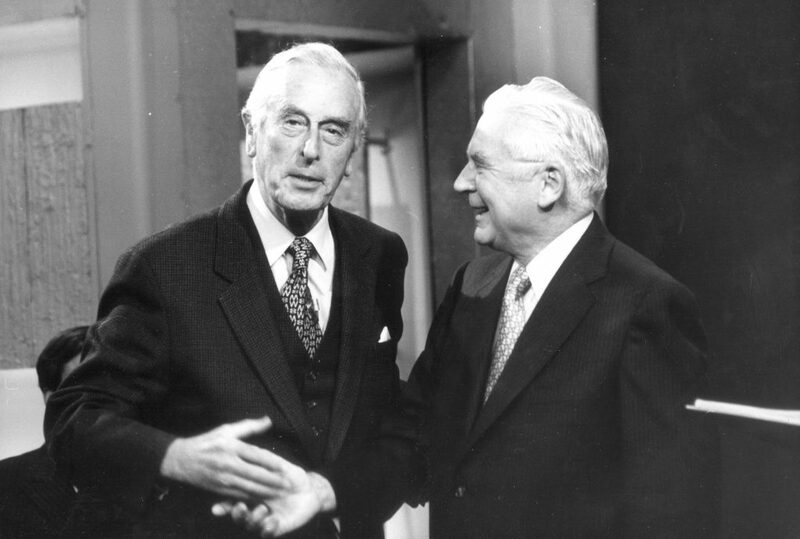 His now famous friendship with Lord Louis Mountbatten is well documented with personal correspondence with and about Mountbatten. Also included are: Mountbatten’s patient file, 1944-1962; an official biography, 1963; information on his United States visit, 1964; “This is Your Life” television appearance, 1977; funeral information, 1979; books and articles. Scheie’s service in the Army is also represented among the personal papers. There are: orders, appointments, and commendations, 1940-1969; reports and records, 1944-1965; and rules and regulations, 1952-1963. His affiliation with military organizations, 1966-1987, is also evident in his personal papers. Information on the American Legion, the Association of Military Surgeons, the British Officers’ Club, the Burma Star Association, the Ledo Road Engineers, the Military Order of the World Wars, the Society of Medical Consultants, the Retired Officers’ Association, the Society of Military Ophthalmologists, and the Valley Forge Military Academy is included. There is a generous sampling of Scheie’s community activities and interests. This information appears both in the correspondence and in files specific to the organizations in which supported. Also included in the personal papers are: travel itineraries, care and financial arrangements for Nancy and Eric — his children by Polly Scheie, information his education, and general biographical information. Scheie’s professional papers constitute the largest portion of this collection. His daily activities may best be traced through the Office papers sub-series. These papers show Dr. Scheie at his administrative best. His correspondence, 1943-1990, with ophthalmologists, medical doctors, administrators of various ophthalmological and general medical associations, vendors from drug companies, and individuals associated with societies for the care of the blind and prevention of blindness, gives information on professional activities and concerns. His office papers also include: administrative files, patient lists and forms, student lists, schedules and papers, personnel information and residents lists, financial files, and information on the Governor’s Commission on Diabetes and other organizations and associations on which he served. The Scheie Eye Institute is Harold Scheie’s legacy. Information on his efforts at building and endowing the Scheie Eye Institute, 1968-1990, is also available. Included are files on the building, the administration, fundraising and fundraising events, and public relations of the Institute. There is extensive information on the meetings, conferences, and courses Scheie attended over the years. His research files, 1949-1984, are a better testimony to his achievements in the field of Ophthalmology. Included here are his notes, files, drafts, results, charts, and photographs for many of his research projects. Articles, abstracts, and reprints are also among his professional papers. Scheie was comprehensive in his approach to various projects. As a result, kept files of research and writings done by others in the field, and many of these third party files are the work of his colleagues in the Department of Ophthalmology. The remainder of the professional papers include lectures and speeches delivered, 1947-1988, and awards and honors received, 1952-1988. There are photographs documenting Dr. Scheie in many capacities. Formal and portraits, photographs with patients, colleagues, and celebrities abound. His military service in the China, Burma, India Theatre is well documented in both a general group of photographs and a larger group of snapshots. The clippings and scrapbooks add a broader and more general view to the collection. Clippings from his college days, his military service, his professional activities, and his work at the Scheie Eye Institute may all be found. There is also a large and obligatory group of clippings on Mountbatten. His awards and other miscellaneous interests were also saved. The scrapbooks are supplemental to the clippings. There are five devoted to the Scheie Eye Institute, 1969-1979. Fourteen other scrapbooks, 1965-1978, contain historical materials, largely clippings, documenting Dr. Scheie’s career. Ephemeral material include: a wool jersey and sweater from his days at the University of Minnesota, a Surgeon General — China, Burma, India — cap, [Tent door] plaque, fifteen pairs of eye glasses in various shapes and sizes, a sampling of medals, plaques and trophies, and two audio tapes. Ten monographs written by Dr. Scheie and seventeen rare books, fill out the collection. Franklin Institute Gala Ball, n.d. Organizational Chart and directories, n.d.
Support Staff — Lists, n.d.
Pennsylvania Association for the Blind — Standards, n.d.
Pennsylvania Association for the Blind — Pre-School Screening, n.d.
Agreement with Benson Optical, n.d.
Director Search Committee Information, n.d.
Events — Greek Odyssey Ball, Miscellaneous, n.d.
Radio and Television Programs, 1981, n.d.
Elias T. Lyon Biography — Photographs, n.d.
Changing Trends in Medicine, n.d.
Endotheliazation of Filtering Bleb in Iris Nevus Syndrome, n.d.
Nitro Blue Tetrazolium Studies of the Whale Eye, n.d. The Surgical Treatment of Extropia, n.d.
Of Course We Play God, Super Doctors, n.d. Fate of Circulating Tumor Cells to the Eye, n.d.
Hypercholesterolemia and the Eye, n.d.
Diabetes and the Eyes, n.d. Challenges in Ophthalmology Speech, n.d. The Joy of Working Speech, n.d.
Scheie Eye Institute Plaque Unveiling Speech, n.d.
Brig Gen. MC USAR Commanding – Wooden Sign n.d. Surgery of the Eye / by Meyer Wiener, M.D. and Harold G. Scheie, M.D., D.Sc., F.A.C.S. (New York : Grune and Stratton), 1952. Third edition. Ophthalmology Lecture Notes / Prepared by Harold G. Scheie and members of the staff of the Department of Ophthalmology (Philadelphia : Univeristy of Pennsylvania), . Ophthalmology Lecture Notes / Prepared by Harold G. Scheie and members of the staff of the Department of Ophthalmology (Philadelphia : University of Pennsylvania), 1969. A History of Ophthalmology at the Univeristy of Pennsylvania / By Daniel M. Albert, M.D. and Harold G. Scheie, M.D. Harold G. Scheie : A Biographical Sketch and Selected Papers / Compiled by Thomas R. Hedges, M.D., William C. Frayer, M.D., Daniel M. Albert, M.D. (Philadelphia : Privately Printed), c1972. Oftalmologia de Adler / Dr. Harold Scheie and Dr. Daniel M. Albert. Translation to Spanish by Dr.Luis Augusto Mendez. (Mexico : Interamerica), c1972. 8th edition. Adler’s Textbook of Ophthalmology / Harold G. Scheie, M.D. and Daniel M. Albert, M.D. (Philadelphia : W.B. Saunders Company), c1969. (2 copies). Adler’s Textbook of Ophthalmology / H.G. Scheie and D.M. Albert. 1974. [Asian edition]. In Chinese. Adler’s Textbook of Ophthalmology / Harold G. Scheie, M.D. and Daniel M. Albert, M.D. (Philadelphia : W.B. Saunders Company), c1977. Asian edition. In English. A Treatise on the Fevers of Jamaica with Somer Observations on the Intermitting Fever of America … / Robert C. Jackson, M.D. (Philadelphia : Printed for Robert Campbell, Bookseller), 1795.
Letters from a Father to his Son, On Various Topics Relative to Literature and the Conduct of Life / Written in the Years 1792 and 1793, By J. Aiken, M.D. (Philadelphia : James Carey), 1796. Naturgeschichte von Aleppo: enthaltend eine Beschreibung der Stadt, und der vornehmsten Naturerzeugnisse in ihrer Nachbarschaft, zugleich mit einer Nachricht von dem Himmelsstriche, den Einwohnern, und ihren Krankheiten, insbesondere der Pest / von Alexander Russell. (Göttingen: Johann Georg Rosenbusch), 1798. In German. Wie kan man das verlohrene oder verminderte männliche Vermögen wieder erhalten und stärken? : Ein Noth- und Hülfsbüchlein für alle, welche in der Liebe oder durch Selbstbefleckung ausgeschweifet haben / Gottfried Wilhelm Crusius (Becker). (Leipzig : Johann Benjamin Georg Fleischer), 1798. A Practical Essay on the Analysis of Minerals … / By Frederick Accum. (Philadelphia : Kimber and Conrad, Benjamin and Thomas Kite), 1809. Medical Inquiries and Observations / by Benjamin Rush, M.D. (Philadelphia : Bradford and Inskeep, Mathew Carey, Hopkins and Earle, Johnson and Warner, Kimber and Conrad, Thomas and William Bradford, Benjamin and Thomas Kite, and Bennett and Walton), 1809. An Essay on the Venereal Diseases Which Have been Confounded with Syphillis and the Symptoms which Exclusively Arise from Poison / By Richard Carmichael. (Philadelphia : Thomas Dobson and Son), 1817. Statement of Improvements in the Theory and Practice of the Science of Medicine / By Thomas Ewell, M.D. (Philadelphia : Printed by John Bioren), 1819. The Treasure of Health or a Wonderful Collection of the Most Valuable Secrets in Medicine … / By Lewis Merlin. (Philadelphia : Printed for the Society), 1819. A Treatise of the Materia Medica and Therapeutics / By John Eberle, M.D. (Philadelphia : James Webster), 1824. v.1. A Treatise of the Materia Medica and Therapeutics / By John Eberle, M.D. (Philadelphia : James Webster), 1824. v.2. The Experienced Botanist or Indian Physician, Being a New System of Practice Founded on Botany … / By J.W. Cooper. (Lancaster : John Baer, Printer), 1840. Eyesight and How to Care for it / By George C. Harlen, M.D. (New York : Julius King Optical Co.), 1887. The Bee Line Repertory / By Stacy Jones, M.D. (Philadelphia : Boericke and Tafel), 1894. Vade Medicum of Ophthalmological Therapeutics / By Dr. E. Landolt and Dr. P. Gygax (Philadelphia : J.B. Lippincott Company), 1898. On the Physiognomy of disease… / John F. Fager, n.d.